Don't be left out in the cold! 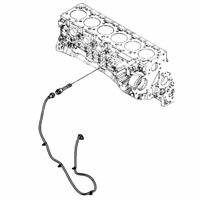 Make sure your '89-'18 Dodge Cummins Turbo Diesel engine has a block heater cable so you can warm the engine for easy starting in cold weather. The Cummins engine has the block heater installed, but many times the dealers did not order the engine block heater cable with the '03-'18 trucks. The heater cable plugs into the block heater which is underneath the exhaust manifold and next to the oil filter. There may be a black cover on it that will need to be removed to get access to the block heater. Easiest access to the block heater is from underneath the truck. This is a direct replacement part for the '89-'18 trucks. Heater cable is 6 feet long. Easy to install and makes cold starts so much nicer! Geno's provides an invaluable resource for anyone with a RAM diesel. The catalog is full of useful items. 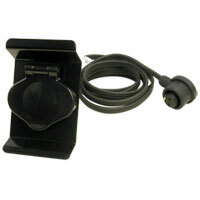 Ordered parts are delivered quickly and accurately. I am sold on Geno's! Keep up the great work. Truck was originally built for the south, so it didn't come with a cable. Knowing I was going to be hitting some frigid temperatures I picked up this cable at a fraction of the price the local dealer was charging. Works great and was shipped fast, got to me in enough time for me to install before the cold weather rolled in. Great product! Come with easy to understand installation instructions and works great! Just in time for this extremely cold weather in the south! Great service! Works great. Great solution to cold weather starts. there are 2 different one's I purchased the one with a locking collar. went on in about 20 minutes. Came to me exactly like the picture. I received confirmation on shipping , I couldn't ask for a better company to purchase from . They're very responsive and knowledgeable. Product came very very fast. Product only took me 10 minutes to install. If you need it, get it here! Best price anywhere! Outstanding customer service. Engine block heater cord installed very easily and works great. Would buy it again from Geno's garage in a heart beat. Product arrived quickly, fit perfectly at one third of dealer cost. Very pleased with service from Geno's. Purchased this for the inevitable trips to visit family in Up-State NY and and New England during the winter months. Easy install (wait until oil change), utilized rare earth (Nd) magnets found in big box stores to ensure solid placement on the inner-well of the fender. 1 magnet was "jb-welded" inside the fender and the others were taped to the cord/head. The JB-Weld magnet was for a constant position, but not necessary. Best fit, price and shipping. My new goto site for my truck parts. 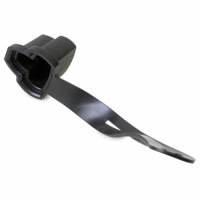 I installed this block heater cable on my 2005 Dodge Ram 2500 with the 5.9L. 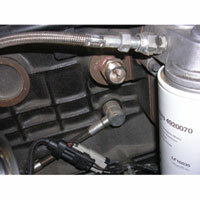 I was able to install it quickly and easily after simply removing the air intake tube. Then I routed the cable to the front of the vehicle with black zip ties. I've had it on for about 2-3 weeks and it's worked just fine. I plug the truck into a timer that kicks on about 6 hours before I leave in the morning. Thanks Geno's Garage. Ok needed a cord for my new CTD cold weather coming....dealership said $68 so I got priority shipping and still half the costs of dealership and same cord!!!! Cord fit perfectly, makes a huge difference in cold weather. Easy install. Great product. Install was a snap, works flawlessly. Only improvement would be to incorporate a cap for the plug to maintain cleanliness of the prongs. Exactly what I wanted. Arrived quickly and at a great price. Perfect fit. Minutes to install. 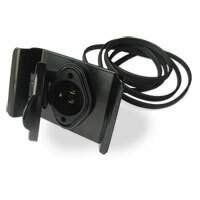 Ordered a block heater cord from GG athe a fraction of the cost from dealer! Package arrived surprisingly FAST! Awesome service! More business will be in the future! Installed in 10 minutes and you can not beat the price. Excellent buy! Received it quickly... right part and it works fine! Part fits as it should and works as it should. 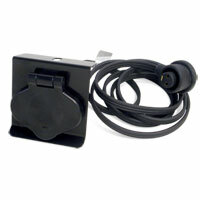 Buy the plug protector as so as it is hard to find local. Purchased for my '16 Cummins dually, fit perfectly. My one suggestion, don't waste your time trying to install without removing intake duct from turbo to airbox! It takes less time to remove the duct than to realize you are not as flexible as you need to be. 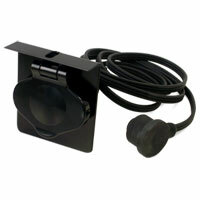 Works Great-Easy Installation-Fast Shipping-Will Purchase From Geno's Again! It's hard to find a truck in California with the winter prep group. This block heater cable makes it easy to ensure my Cummins is already warm before I start her up in the cold mornings. I will especially love it when I move to the east coast in a few months. Easy to install and very nice to have. Purchased and installed the engine block heater myself. Had a little difficulty determining if the cord was making full contact with the male end of the heating element, as it was hard to screw the amphenol nut on. Otherwise, great product and easy to install - took 1 hour max. Easy to install and the perfect length to reach my left tow hook. Tucks nicely into the bumper for hiding. If you are thinking about a heater cord. This is the one. 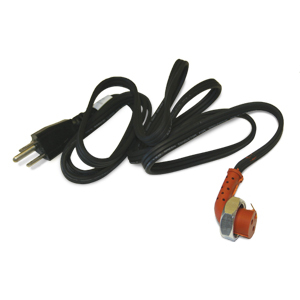 Fast shipping and 6.7 liter Cummins block heater cord exactly as described. Took about 30 min to install with detailed instructions. Save about 50% over dealer. the cord fit great just like it should, good quality to. I needed to replace my damaged cord on my 02 before winter rolls in. This product fit perfectly and was relatively easy to install. I was able to remove the old one and install this one without removing any of my intake. A necessary product for any Cummins truck! Geno's was quick with the shipping and easy to work with as usual! Like it so far haven't had to use it yet. Install pretty easy and straight forward and routing cable is a breeze as well. Just as advertised, this is the cord you need for your Cummins block heater. My truck was equipped with the block heater but no cord for it, rather than spending $45+ at the stealership I got this one from Geno's at less than half the price shipped to my door. Super fast shipping, came in 2 days and will be keeping my truck warm this winter for all those early 4am work days. Install took all of 6 minutes with a simple adjustable wrench. Can't go wrong with this purchase!